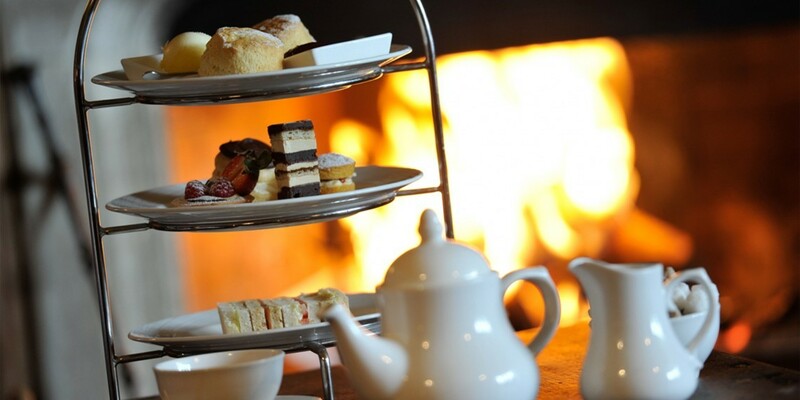 Step back in time for a traditional afternoon tea. Soak up the elegant surroundings of the dining room, with fine white china, crisp linens and fresh flowers (often from our gardens). Or for a more informal afternoon, sit beside a roaring fire in winter or on the sheltered terrace in summer. All of our cakes, scones and patisserie are freshly made by our pastry chef. You may find the selection hard to resist! Afterwards, discover the magic that lies on our doorstep, taking a stroll around the kitchen garden and nature garden, or exploring the extensive grounds. Book online at the top of the page, or by ringing us directly on 01225 864705. A delicious selection of tasty sandwiches, freshly baked cakes, scones and patisserie, served with the finest loose-leaf teas.